Recuperar archivos borrados accidentalmente o imagen corrupta! 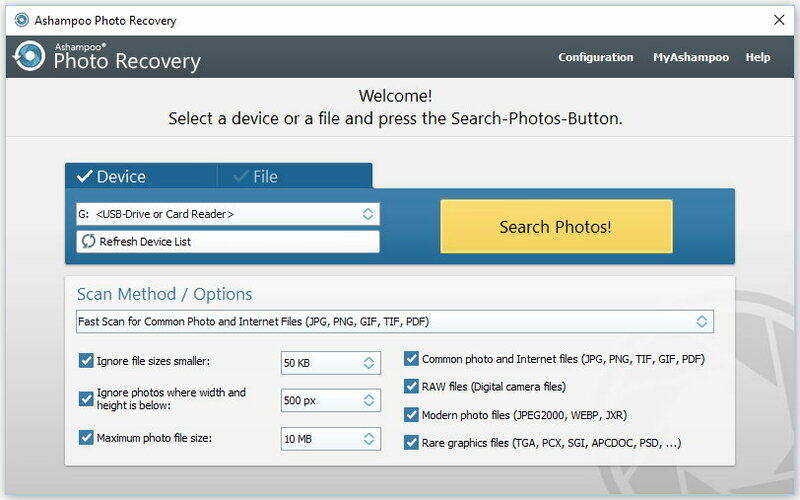 Algoritmo de movimiento de datos más rápidoAshampoo Photo Recovery recupera archivos de imagen eliminados o dañados. Escanee archivos individuales en busca de imágenes contenidas o unidades de disco completas. Incluso puede recuperar sus fotos de archivos RAW dañados o discos formateados. La última versión es compatible con la recuperación de imágenes incrustadas de documentos dañados (por ejemplo, PDF, Word, etc.) y varios formatos de imagen y RAW agregados producen resultados de búsqueda aún mejores. Los nuevos filtros de búsqueda lo ayudan a administrar mejor las enormes cantidades de archivos y le permiten filtrar con precisión sus resultados por formato, tamaño o resolución. 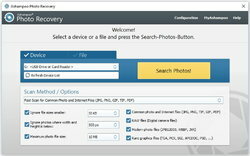 As with any recovery program, Photo Recovery can not recover when a photo is overwritten by 1 byte due to something else. Gilbert Roland, "1byte" overwrite is just a single byte corruption of a JPG file and most JPG files can survive "1byte" worth of damage in several places within the JPG file format... if the corruption is in the Exif data you won't normally see any difference in the recovered image, if the data is in the JPG JFIF header it could break the JPG header recognition by the recovery program or the JPG rendering due to invlaid data breaking the decoder but it is also possible to have a JPG with corruption in one of the cells which may result in visible decoding error on a small square in the image. But a single byte corruption is often a non-issue with JPG files, now a single complete overwrite of a JPG file or ANY other file type or raw data on a drive is with current technology unrecoverable by any software or known lab technique. 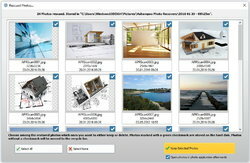 Most JPG files contain usable data even when truncated by a significant amount! Gilbert Roland, sure it can recover it if the 1 byte is wrong in the image data of the photo. 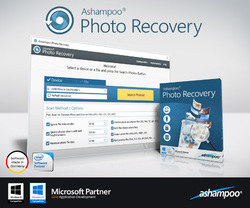 I'm surprised that Ashampoo, which I've always respected, is resorting to terribly [blatantly] misleading ad copy on the linked page for Ashampoo Photo Recovery. Under the heading: "These events will cause the loss of your digital photos:", "The memory card in your digital camera or cellphone is defective" And "A USB flash drive has ... become defective"
Both statements are undeniably true, but in advertising for photo recovery software, the intended implication is that their software will get these photos back when the storage media is broken, failed, inoperable. That's completely False! Otherwise, companies selling file recovery software often borrow the marketing strategy of companies selling video converters & such -- make one full product, then sell several "specialized" products, which are actually just limited versions, for a reduced price. It's an easy way to increase the number of potential buyers, since all you have to do is break or turn off features in the main app, and you've got something new to sell. I can't of course say that's what Ashampoo has done, breaking their Undeleter to create their Photo Recovery software, but with the misleading ad copy I'm not overly optimistic. I've talked about when I ran several file recovery apps on a hard drive where everything was lost. I don't know if I posted how the files I was mainly after were 30 odd GB of image files, in RAW, PSD, & JPG formats. None of the recovery apps I used was specialized for photos, and their performance recovering photos was in line with their performance recovering everything else. IOW, if an app did well recovering all files, it did just as well with the photos, which I did fully recover BTW. Because the performance of the recovery apps I tried varied considerably, yet all tested very well, I'll take advantage of this GOTD & hold onto Ashampoo Photo Recovery just in case, but frankly if I was going to buy something it would be the EaseUS app, based on my real-world experience. 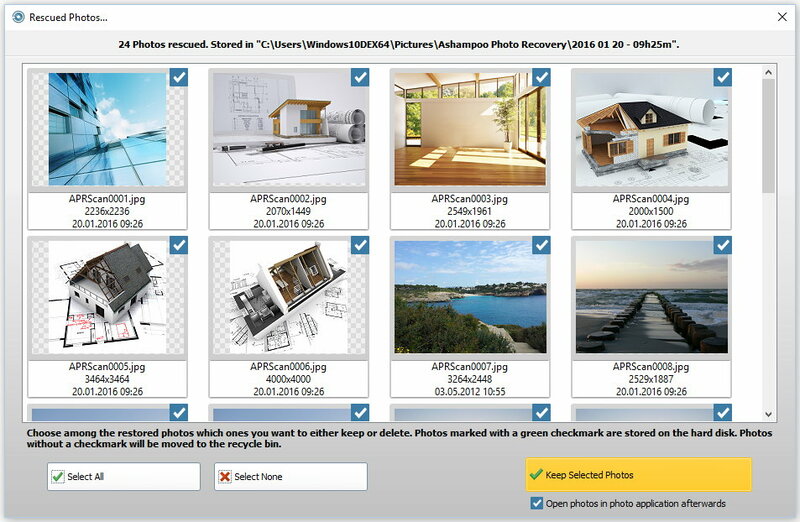 Needless to say, don't stored your photos on the system partition [where Windows is installed], & store them on multiple drives or media &/or in the cloud [that last depending on file sizes]. In my case, since it takes a while to sync 10s of GB of data, I synced my backup copies whenever I'd reach a milestone, say after 4-5 hours of work. At some point the *cumulative* time you lose syncing backups becomes greater than the time it would take to re-do the work you've performed. When something went wrong [not certain but believe it was a Windows glitch] & I lost the data on that drive, I ran the recovery apps in the background, to see if I could avoid re-doing the work since the last time I synced those files. It worked out, & I didn't really use much time because they were running in the background as I kept on using the PC. I'm surprised that Ashampoo, which I've always respected, is resorting to terribly [blatantly] misleading ad copy on the linked page for Ashampoo Photo Recovery. Under the heading: "These events will cause the loss of your digital photos:", <i>"The memory card in your digital camera or cellphone is defective"</i> And <i>"A USB flash drive has ... become defective"</i> Both statements are undeniably true, but in advertising for photo recovery software, the intended implication is that their software will get these photos back when the storage media is broken, failed, inoperable. That's completely False! Otherwise, companies selling file recovery software often borrow the marketing strategy of companies selling video converters & such -- make one full product, then sell several "specialized" products, which are actually just limited versions, for a reduced price. It's an easy way to increase the number of potential buyers, since all you have to do is break or turn off features in the main app, and you've got something new to sell. I can't of course say that's what Ashampoo has done, breaking their Undeleter to create their Photo Recovery software, but with the misleading ad copy I'm not overly optimistic. I've talked about when I ran several file recovery apps on a hard drive where everything was lost. I don't know if I posted how the files I was mainly after were 30 odd GB of image files, in RAW, PSD, & JPG formats. None of the recovery apps I used was specialized for photos, and their performance recovering photos was in line with their performance recovering everything else. IOW, if an app did well recovering all files, it did just as well with the photos, which I did fully recover BTW. 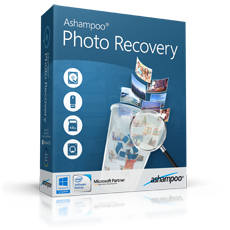 Because the performance of the recovery apps I tried varied considerably, yet all tested very well, I'll take advantage of this GOTD & hold onto Ashampoo Photo Recovery just in case, but frankly if I was going to buy something it would be the EaseUS app, based on my real-world experience. Needless to say, don't stored your photos on the system partition [where Windows is installed], & store them on multiple drives or media &/or in the cloud [that last depending on file sizes]. In my case, since it takes a while to sync 10s of GB of data, I synced my backup copies whenever I'd reach a milestone, say after 4-5 hours of work. At some point the *cumulative* time you lose syncing backups becomes greater than the time it would take to re-do the work you've performed. When something went wrong [not certain but believe it was a Windows glitch] & I lost the data on that drive, I ran the recovery apps in the background, to see if I could avoid re-doing the work since the last time I synced those files. It worked out, & I didn't really use much time because they were running in the background as I kept on using the PC.